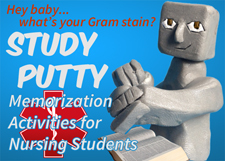 I’ve been talking to my friend Nurse Denise about how to keep our popular Nursing Brains page up-to-date and relevant. It gets a lot of traffic and I want to be sure that we continue to give value with the discussion and links that are there. One of my questions was pretty basic but hit a nerve: Why, in this age of Electronic Medical Records, do nurses still need paper report sheets? Shouldn’t they be going the way of . . . land-line phones or big cathode-ray TV sets? She immediately answered that the EMR simply doesn’t give a nurse the big picture view of the patient’s status that she needs. We tossed that idea around a bit and came to the conclusion that so much effort has gone into making data-entry for EMRs as simple as possible that not enough has been invested, yet, in making the data they hold as useful to the nurse on the floor as it should be. In the old days, when we worked with paper records, we could easily see the big picture. One page in the MAR said it all and, more importantly, displayed all of the medication information on one page for an entire day. If you needed to see yesterday’s record, you simply went back a page. In today’s high tech world of Electronic Medical Records, most systems display just segments of the 24 hour MAR. You have to scroll back to look at earlier medication administrations, then move forward again, and then try to keep it all straight in your head. There are — or should be — reports that can display the 24 hour period. But, do you know how to find and run those reports? Do you have time to run them? As a busy RN, caring for more patients than seems possible, the answer is probably no. And yet, medication errors routinely cause patient injuries and even death. While we nurses wait for our EMR software to catch up to OUR needs so that we can provide the best possible care to our patients, we need to schedule some report-running tasks into our crazy-busy days and nights. First, we need to find those big picture reports and how to run them. I suspect you each have someone in your group who secretly loves IT and would enjoy flexing their high tech muscle for the good of the group. Second, we need to schedule a time (preferably written into our paper brains) for us to run and read these reports. Every shift. Maybe several times per shift for complicated patients. We know that EMRs will eventually help us to provide higher quality care and will prevent errors leading to injury and death. But for now, we nurses have to remember the valuable information we were getting from our primitive paper-based systems and demand that our new systems continue to provide us with that critical big picture. We have a right to this information.